Beach Park Plaza Centre on Jumeirah Road of Dubai has a well decorated eatery within it that serves Thai cuisine. 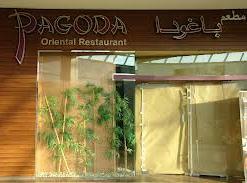 This eating place is known as Pagoda Restaurant and it remains open from brunch till late dinner time on all days of the week. Visitors of the Beach Park Plaza Centre, public beach and other nearby landmarks keep this restaurant busy, as it’s an ideal place to get some rest and grab something to consume. In the fine settings of Pagoda Restaurant, their staff members give its guests warm welcome and keep them contented with their quick service. Moreover, this bistro has a very accessible location due to which it is not hard to locate this venue. The menu of the Pagoda Restaurant gives you an insight into the far eastern delicacies, which are recognised as Thai food. These Thai delicacies are created by team of expert chefs, who are well familiar with the traditional recipes and ingredients that goes into Thai dishes. To give you a hint, here are few dishes that one will find in the menu of this bistro: papaya salad, wasabi prawns, crispy duck, lamb curry, coconut roll and etc. Since this restaurant is family friendly, therefore you can also bring along your family to relish the Thai cuisine of this eating place. From Sunday to Thursday this eatery remains open between 11:30 am and 11:30 pm, whereas on Friday and Saturday opening time remains the same 11:30 am, but operations are carried out till midnight. Beach Park Plaza Centre - Jumeirah Road - Dubai - United Arab Emirates. Nearest metro station is more than 2.5 kilometres walking journey from Pagoda Restaurant. 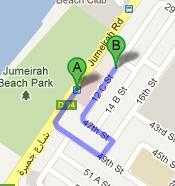 Therefore, it is suggested that one should either take a bus or car to get to this eatery. Head southwest on Jumeirah Road/D 94, then turn left onto 49th Street, after that make a left turn onto 16th Street, from where turn left onto 47th Street and continue onto 12 C Street. The destination can be found on the left side after covering some distance. View map for directions.